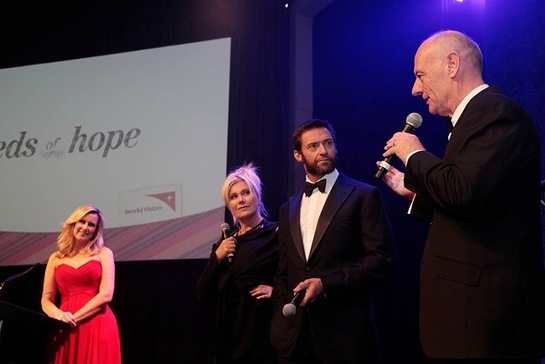 World Vision Australia ambassadors Hugh Jackman and Deborra-lee Furness treated the business community to entertainment and a coffee at a gala fundraising event this week. Around 250 guests attended the Seeds of Hope Gala Dinner at the Grand Hyatt Melbourne and raised critical funds and awareness for World Vision’s economic development work around the world. Longstanding World Vision ambassador Melissa Doyle of Sunrise hosted the African-themed evening and shared stories of her emotional first-time meeting with sponsor child Elyas in Ethiopia last year. 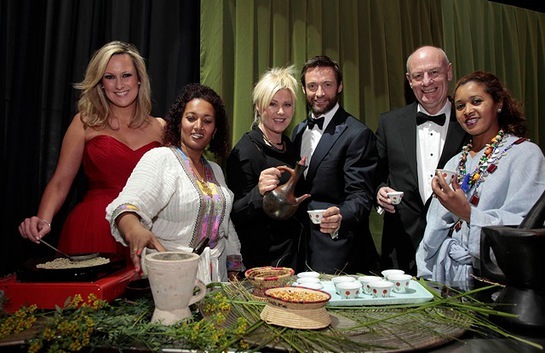 Hugh Jackman, the Tony and Emmy Award-winning star of Les Miserables, said working with World Vision had inspired both himself and wife Deborra-lee to start the socially responsible coffee company Laughing Man Worldwide. 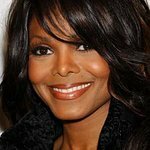 Deborra-lee Furness said: "We’ve been fortunate to visit Cambodia and Ethiopia with World Vision and have been moved by the children and families we’ve met – their fortitude and courage in the face of heartbreaking poverty is staggering. 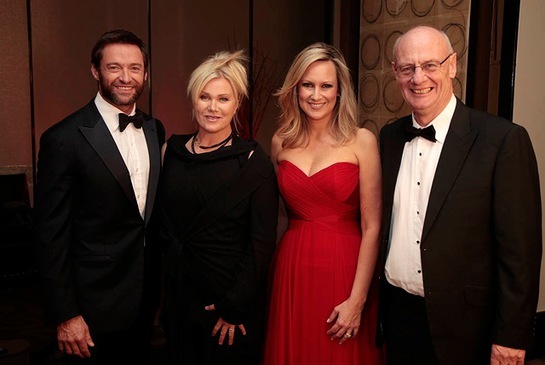 World Vision Australia chief executive Tim Costello said Hugh and Deborra-lee are long-time supporters of World Vision, and with their own children sponsor several children from around the world. The ballroom at the Grand Hyatt Melbourne was transformed with African-inspired decorations and music, and traditional Ethiopian coffee was provided by Hugh and Deborra-lee’s Laughing Man. The dinner was supported by major event partners Grand Hyatt Melbourne and the Australian New Zealand Institute of Insurance and Finance.